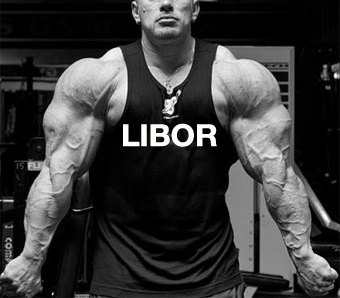 People who don’t follow the capital markets on a continuing basis might be forgiven for thinking that LIBOR was the name of a fitness instructor from Norway. But no, it’s actually what a lot of people in the business world, including those of us in real estate, look to benchmark the interest rates that we pay for loans. LIBOR, or the London InterBank Offered Rate, is the rate that 18 international banks charge to lend each other money. It affects consumer debt, corporate debt and about $10 trillion in mortgage loans. When you’re structuring a loan, for example, the originator may assign a rate of 2% over LIBOR. So, when the news broke that a group of banks was under investigation for rigging the rate, it sent shockwaves across both sides of the Atlantic and much of the financial world. On Monday, Chief Executive Officer Robert Diamond and Chief Operating Officer Jerry Del Missier, both of Barclays, Britain’s second-largest bank, resigned over the scandal. Barclays agreed to pay a $450 million fine. In testimony to Parliament last week, Diamond apologized and said 14 Barclays traders were involved. The scandal implies that thousands of loans may have been made on the basis of rates that we artificially inflated. One fear is that it may deepen the housing crisis. The rate-fixing scandal may have caused people to lose their homes to foreclosure, according to London’s Daily News. Moreover, many people have mortgages linked to LIBOR and fluctuations in its rate can affect the size of their monthly home loan repayments. The U.K. Serious Fraud Office joins the U.S. Department of Justice in criminally investigating how derivatives traders and rate submitters colluded to rig interbank offered rates. The U.K. Financial Services Authority is seeking civil penalties against banks. Maybe the biggest question going forward is whether LIBOR will survive or whether a global benchmark built on manipulable opinions might be replaced by one based on actual reported trades. The percentage of borrowers who are behind on making mortgage payments fell to a four-year low in the first three months of 2012, according to the Mortgage Bankers Association (MBA). The percentage of loans that were delinquent or in the foreclosure process during the 1st quarter was 11.33 percent, the lowest level since 2008. That was a decrease of 1.2 percentage points from a quarter earlier and 0.98 percentage point below the rate reported one year ago. These new delinquencies represent 3.1 percent of loans outstanding, said Jay Brinkmann, the MBA’s chief economist. That corresponds to the historical average dating back to the 1990s, he said. “Basically, we’re back to normal on that count,” he said. “The short-term delinquencies are back to normal, longer-term delinquencies still continue to go down. The remaining problem is this backlog of foreclosures in certain states,” Brinkmann said. One cause that has slowed the recovery is the ongoing difficulty lenders face completing the foreclosure process, particularly in states that involve the courts in the foreclosure process. In the judicial states, 6.9 percent of loans are in foreclosure inventory, loans that the banks have started the legal process of foreclosing on but have not yet taken control of the property through a foreclosure sale. In states where foreclosures are handled by trustees such as title companies, only 2.9 percent of loans are in foreclosure inventory. The delinquency rate peaked at 10.1 percent in the 1st quarter of 2010 and was last lower in the 3rd quarter of 2008, when it was 6.99 percent. The majority of troubled loans were originated between 2005 and 2007. Tighter lending standards and deflated prices for borrowers who got mortgages after the housing market collapsed are the reason for better performance of loans issued since 2008. Loans that are more than 90 days overdue — the point at which lenders usually begin the process of seizing a property – fell to 3.06 percent from 3.11 percent in the 1st quarter and 3.62 percent one year ago. The share of homes that had received a foreclosure notice and hadn’t been seized by banks increased to 4.39 percent, an increase of one basis point, or 0.01 percentage point, from the previous quarter. The bad news is that the percentage of loans in the foreclosure process rose slightly to 4.39 percent in the 1st quarter from 4.38 percent in the 4th quarter, reflecting slow judicial-foreclosure systems in states such as Florida, according to the MBA. The rate was at 4.52 percent a year ago. According to the MBA, foreclosure starts fell in 41 states. The MBA survey covers 42.8 million loans on one- to four-unit residential properties, or approximately 88 percent of all first-lien residential mortgages in the country. The average rate on 30-year fixed-rate mortgages with conforming loan balances declined to 3.96 percent from 4.01 percent, while rates on similar mortgages with jumbo loan balances fell to 4.2 percent from 4.29 percent. The typical rate on FHA-backed 30-year fixed-rate mortgages slipped to 3.75 percent from 3.81 percent. Home prices — including distressed sales (foreclosures and short sales), climbed 1.1 percent in April, according to a new report from CoreLogic. If you don’t count distressed sales, prices rose 2.6 percent. Prices have not risen for two consecutive months since June 2010, a time when the homebuyer tax credit was still available. Although the national gains are welcome, they also reflect a fluctuating state-to-state housing market. Home prices rose significantly in markets where distressed properties comprise the majority of sales, such as Arizona, which saw an 8.8 percent annual gain, and Florida, where prices rose 5.5 percent. This is a result of shrunken foreclosure inventories due to slowdowns in bank processing. States with relatively smaller shares of distressed sales saw prices take a nosedive. The spring sales season — while not vigorous — was busy, particularly for investors in distressed properties. The summer numbers are not expected to be quite as strong. After two months of gains, asking prices on for-sale homes, a two-month leading indicator, were unchanged in May, according to Trulia.com. “Asking prices and employment both stagnated in May, yet one more reminder that the housing recovery depends on job growth,” said Jed Kolko, Trulia’s chief economist. “The metros where prices rose the most have stronger demand from faster job growth.” As home prices grew, so too did rents. On a national basis, rents rose six percent in May when compared with 2011, according to Trulia, and the increases are accelerating monthly. Despite the good news on the national front, S&P/Case-Shiller reports that home prices continued to fall in five states. They are Delaware, where prices plunged 11.9 percent when distressed properties are added to the mix; Illinois, one of the nation’s largest housing markets, saw prices fall another 5.6 percent in one year; Alabama, with its large rural and poverty-stricken population, experienced a 6.6 percent decline; Rhode Island, a state where many small communities are in serious financial trouble, reported a 6.2 percent drop; and Georgia, a largely agricultural state with an 8.9 percent unemployment rate, saw house prices fall 5.6 percent. If you want to sell a product, price it correctly. That theory at long last appears to be working in the U.S. housing market. The National Association of Realtors (NAR) reported that sales of existing homes rose 3.4 percent in April when compared with March. One reason is that asking prices were remarkably affordable. The interest rate on a 30-year fixed-rate mortgage was 3.79 percent, the lowest since record-keeping began in 1971, according to Freddie Mac. The Realtors’ index of affordability hit a record high in the 1st quarter and factors in sales prices of existing homes, mortgage rates, and household income, which is gradually strengthening as the labor market improves. Even with this uptick, sales are well below the nearly six million per year that economists equate with healthy markets. The mild winter encouraged some people to buy homes, which drove up sales in January and February, while making March weaker. First-time buyers, a key segment critical to residential recovery, rose in April and accounted for 35 percent of sales, up from 32 percent in March. “First-time homebuyers are slowly making their way back,” said Jennifer Lee, an economist at BMO Capital Markets. “That is still below the 40-to-45 percent range during healthy times, but the highest in almost half a year.” Homes at risk of foreclosure accounted for 28 percent of sales. That’s approximately the same as was seen in March sales statistics, but down from 37 percent of sales in April 2011. Wall Street analysts expressed caution about seeing the increase as a sign that home values are about to make a big comeback. NAR’s price calculations may have been skewed by larger homes coming onto the market, analysts said. According to NAR economist Lawrence Yun, seasonal factors might have played a role in the price increase because families tend to buy in the spring, which means bigger homes comprise a larger share of total sales. “It does echo the message sent by most other related measures that have shown house prices stabilizing or firming,” said Daniel Silver, an economist at JPMorgan. Home prices, according to the S&P/Case Shiller composite index, have fallen by approximately one-third since the middle of 2006. “Although the data seem to imply that there is a relative good balance between buyers and sellers, it is unlikely that home prices can recover on a sustained basis until the number of distressed properties is more significantly reduced,” said Steven Wood, chief economist at Insight Economics. The housing inventory climbed 9.5 percent to 2.54 million, representing a 6 ½-month supply. CoreLogic estimates that the shadow inventory — homes that aren’t on multiple listing services that are either seriously delinquent, in foreclosure or real-estate-owned — totaled 1.6 million units as of January. The S&P/Case-Shiller home price index of 20 cities revealed a 3.5 percent decline when compared with last year. Home prices are now at their lowest levels since November 2002. “Nine (housing markets) hit post-bubble lows,” said David Blitzer, spokesman for S&P, including Atlanta, Charlotte, Chicago, Las Vegas and New York. “While there might be pieces of good news in this report, such as some improvement in many annual rates of return, February 2012 data confirm that, broadly-speaking, home prices continued to decline in the early months of the year,” Blitzer said. The primary challenge continues to be foreclosures and other distressed property sales, according to Pat Newport, an analyst for IHS Global Insight. “We still have six million homeowners who are late on their payments,” he said. “We’ll still have lots of foreclosures, which will depress prices.” The good news is that some of the worst hit of the index’s 20 cities appear to be on the mend. “Some (cities) which have declined considerably over the last five to six years now have begun to exhibit an uptick in home prices,” said Luis Vergara, a director with Mission Capital Advisors. Phoenix prices climbed 3.3 percent year-over-year. Miami recorded a gain of 0.8 percent over 2011. Even Las Vegas appears to be turning more positive, with home prices down only 8.5 percent, compared with a drop of nine percent in January. The weakening may be due to the typical pattern of minimal interest during winter and greater interest in housing during the spring and summer. According to S&P, the unadjusted series is a more reliable indicator. House prices have fallen by more than one-third from their peak when the bubble burst. The glut of distressed properties on the market have slowed the market, as has the unemployment rate and tough credit conditions, which have offset the benefit of mortgage rates near or at record lows. According to the Commerce Department, March home sales fell 7.1 percent to a seasonally adjusted 328,000-unit annual rate. February’s sales pace was revised higher to 353,000 units, the best showing since November of 2009, from the previously reported 313,000 units. “The conditions in housing are still extremely weak, but there are some very subtle, less negative, signs suggesting stabilization there,” said Sean Incremona, economist at 4Cast Ltd. The latest reports indicate that homebuilders are still trying to get back on their feet. The National Association of Home Builders/Wells Fargo sentiment index in April declined to a three-month low. This measure of anticipated sales for the next six months was not good news. Sales of existing houses fell in March for the third time in the last four months. Home purchases fell 2.6 percent to a 4.48 million annual rate from 4.6 million in February, according to the National Association of Realtors. The average rate on a 30-year fixed-rate mortgage hit an all-time low of 3.87 percent in February and was little changed at 3.90 percent in the week ended April 19, according to Freddie Mac. Writing for the Index Universe website, Cinthia Murphy says that “A number of encouraging economic indicators such as an improving job market and slowly growing demand for homes loom as factors that some hope should start to help underpin housing values, even if consumer confidence remains low for now. A clear recovery in housing is deemed crucial for a full-fledged economic recovery in the U.S. after the credit crisis of 2008 sent housing as well as the financial markets sharply lower. U.S. housing was at the center of that crisis, and much of the developed world remains mired in slow, debt-constrained, growth. Michael Feder, CEO of Radar Logic, a real estate data and analytics firm, thinks Case-Shiller is underselling the momentum in the housing recovery. Radar Logic’s 25-city index, which tracks daily activity, is expected to show a month-over-month increase of nearly two percent during February, Feder said. The difference frequently comes when the market is turning, though Feder acknowledges that the mild winter may have created some demand. Another thing to look at is investment buyers coming into the market, which Feder believes could create something of a “mini-bubble” in prices given their willingness to pay premiums. News of that willingness spreads pretty quickly. While it can draw in some fence-sitters who have been waiting for a bottom, there is little evidence of that to date, Feder said. Foreclosure filings declined eight percent in February, the smallest year-over-year decrease since October 2010, as lenders began working through a backlog of seized properties, according to RealtyTrac Inc. A total of 206,900 homes received notices of default, auction or repossession last month, down two percent from January, according to the data firm, which noted that one in every 637 households received a filing. Those numbers could rise sharply in coming months. “The pig is starting to move through the python,” said Daren Blomquist, RealtyTrac’s director of marketing. The banks “have already adjusted their foreclosure practices to fit the terms of the settlement. We expect that to continue as (the settlement) gets finalized,” Blomquist said. The settlement clarifies the way in which foreclosures must be handled. That is expected to let banks speed up their processing, putting many delinquent homeowners into the foreclosure process. Cases could move forward after being on hold for months — even years — with their delinquent owners still living illegally in the properties. Cities with the highest foreclosure rates were Riverside-San Bernardino in California (one in 166 housing units); Atlanta (one in 244); Phoenix (one in 259); Miami (one in 264); and Chicago (one in 302). Default notices, the initial step in the foreclosure process increased more than 20 percent in 12 states, including Hawaii, Maryland, Connecticut, South Carolina, Indiana, Pennsylvania and Florida. State attorneys general have filed lawsuits against major lenders in New York, California and Nevada in recent months, further slowing the pace of foreclosures in those states. The Pending Home Sales Index grew by two percent during January from the previous month to 97.0 — considerably above the 1.1 percent growth forecast by economists. The index has risen eight percent when compared with one year ago. Relaxed mortgage lending criteria, historically low interest rates and an improving labor market contributed to this growth in pending home sales, said Ian Shepherdson, High Frequency Economics‘ chief U.S. economist. The index measures the quantity of sales contracts signed on existing home sales. Created by the National Association of Realtors (NAR), it’s considered a leading indicator that predicts growth throughout the broader residential market. “Given more favorable housing market conditions, the trend in contract activity implies we are on track for a more meaningful sales gain this year,” said NAR chief economist, Lawrence Yun. “With a sustained downtrend in unsold inventory, this would bring about a broad price stabilization or even modest national price growth, of course with local variations.” Pending home sales rose impressively in the Northeast and South, but declined in the Midwest and West. “Housing demand has bottomed, and we should see some gradual improvement in sales,” said Yelena Shulyatyeva, an economist at BNP Paribas, who predicted a two percent gain in pending sales. “The dark side of the story is still the oversupply and the expected pickup in foreclosures. That’s what policymakers really need to think about.” On the downside, lower appraisals and rejected mortgage applications have broken down more deals. In January, one-third of Realtors said they experienced contract failures, an increase when compared with the nine percent who said so one year ago, according to the association. Borrowing costs are still affordably low. The average rate on a 30-year fixed loan was little changed at 4.09 percent in mid-February, , according to the Mortgage Bankers Association. It averaged 4.05 percent the week of February 3, its lowest reading on record since 1990. Another reason why home sales may be on the rise is because of an April deadline for higher mortgage application fees for Fannie Mae and Freddie Mac-backed home loans. The government-controlled mortgage buyers own or guarantee approximately 50 percent of all U.S. mortgages and 90 percent of new loans and have been telling customers to submit their applications now. Even with the good news, analysts warn that the damage from the housing bust is deep and the industry is years away from full recovery. According to Paul Dales, senior U.S. economist at Capital Economics, prices are unlikely to stop falling until the second half of 2012, having dropped 34 per cent over the last five years. This, and the decline in the supply of homes on the market, which fell last month to the lowest since January 2006, will provide support to the housing recovery. Jafer Hasnain: The Housing Crisis: Where Do We Stand? With home sales increasing in six of the last nine months and prices still 30 percent below the peak, the housing market is quite confounding. That’s the opinion of Jafer Hasnain, Principal and co-founder of Lifeline Assets, a private equity firm that invests in single-family homes. In a recent interview for the Alter NOW Podcasts, Hasnain said that the nation has 10 million homes whose mortgages are seriously delinquent or even in foreclosure. According to Hasnain, this is the shadow inventory, which consists of mortgages that are either 90 days late, in foreclosure or bank owned. If you look at the next four or five years, that number will add up to between six to 10 to maybe 11 million homes. When asked why President Obama’s Home Affordable Modification Plan (HAMP) didn’t work as intended – a program meant to help five million homeowners that saw only 800,000 sign up – Hasnain quoted the truism “The road to hell is paved with good intentions.” As Hasnain sees it, the obstruction was in HAMP’s implementation. Although HAMP brought down interest rates to as low as two percent, the real problem for many is that they had lost so much equity, participation simply was not worthwhile. Because HAMP had no impact on the principal owed, homeowners still owed the same amount of money – which typically was significantly more than the house was worth in today’s market. Many concluded that it made more sense to let the bank foreclose – a process that takes 700 or more days – live in the house for free, save money so they ultimately could pay the bank a fraction of what they really owed. Hasnain pointed out that approximately half of all existing mortgages could no be re-underwritten today because of stricter lending standards. In other words, half of all mortgages are potentially distressed, a fact that distresses Hasnain. “That reflects society, and that reflects the potential to really crimp consumer spending. I think housing is the number one, two and three issue right now.” Part of the trauma is caused because, at one time, most people were convinced that they could always rely on the value of their home. In the last few years, that balloon has been deflated to the point where we are now witnessing a failure in confidence. This is a fairly unique problem that most people have never faced, one that calls for creative solutions — whether they come from the government or the private sector. 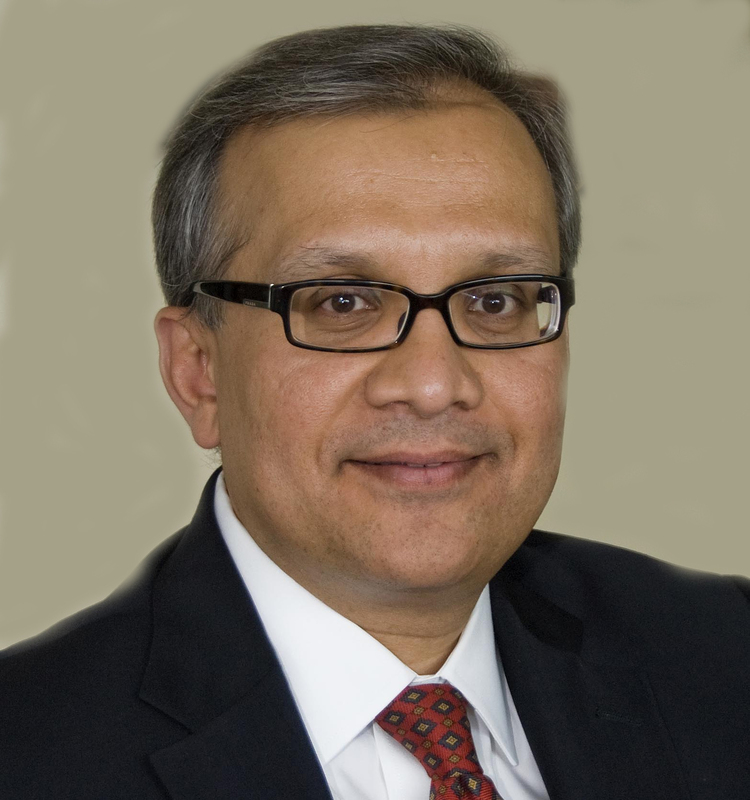 To listen to Jafer Hasnain’s full interview on where we currently stand on the housing crisis, click here for the podcast. In good news for beleaguered homeowners, the Obama administration announced a $26 billion mortgage settlement, which 49 out of 50 state attorneys general signed on to. The deal won praise from such groups as the Mortgage Bankers Association, the industry trade group for lenders, and the Center for Responsible Lending, a public interest group advocating for borrowers. Conservatives suggested that the Obama administration is overreaching, and that the agreement rewards homeowners who haven’t been paying their mortgages. On the other side, some liberal groups say it falls far short of providing the needed level of help to troubled homeowners hurt by the housing bubble, problems they blame on Wall Street banks and investors. They would prefer additional relief for homeowners who are underwater on their mortgages. In the last few years, homes have entered foreclosure more slowly because lenders carefully scrutinized applicants; only low-risk borrowers are granted loans. Along with a measured improvement in the economy, this equals fewer borrowers getting into trouble. Even borrowers in default are avoiding foreclosure in many instance and are being held up by judicial and regulatory constraints, according to Fleming. The practice of robo-signing, in which banks filed slapdash and sometimes improper paperwork, made lenders more cautious about getting their paperwork in order before foreclosing. When a bank does put a home into foreclosure, they are trying to speed the process. One way they’ve done that is by encouraging short sales. Another is that they’ve stepped up their foreclosure prevention efforts — often with the aid of government programs such as Home Affordable Modification Program (HAMP), which the government says has helped nearly one million Americans stay in their homes. After foreclosures are completed and the homes are back in the lenders’ hands, they sell quickly. “This is the first time in a year that REO sales (those of bank-owned properties) have outpaced completed foreclosures,” Fleming said. In December, there were 103 sales of bank-owned homes for every 100 homes in the foreclosure inventory. That was a significant increase from November of 2010, when there were only 94 REO sales for every 100 homes in the foreclosure process. As of December of 2011, Florida still topped the nation’s foreclosure inventory at 11.9 percent, followed by New Jersey with 6.4 percent and Illinois 5.4 percent. Nevada, consistently the number one foreclosure state in the nation, has fallen to fourth place with 5.3 percent. The Obama administration plans to work closely with federal regulators, Fannie Mae and Freddie Mac to start a pilot program to sell government-owned foreclosures in bulk to investors as rentals, according to administration officials. There currently are approximately 250,000 foreclosed properties on the books of Fannie Mae, Freddie Mac, and the Federal Housing Administration (FHA), and millions more are expected. Last year’s foreclosure processing delays created an enormous backlog of properties yet to be processed and are just now being restarted. One of the program’s initiatives is for the federal government to mitigate and manage new foreclosures. Late-stage delinquencies still number close to two million, according to a report from Lending Processing Services (LPS). Foreclosure starts are double foreclosure sales and “the trend toward fewer loans becoming delinquent, which dominated 2010 and the 1st quarter of 2011, appears to have halted,” according to LPS. This is good advice. The recession began with housing, and is one of the main things holding back the recovery. The most recent unemployment numbers — which showed that non-farm payrolls grew by 200,000 in December, and the jobless rate declined to 8.5 percent from 8.7 percent — join other cautious signs of an improving economy, although the housing situation is worsening. There’s still a serious risk it might put a halt to and not just delay expansion. 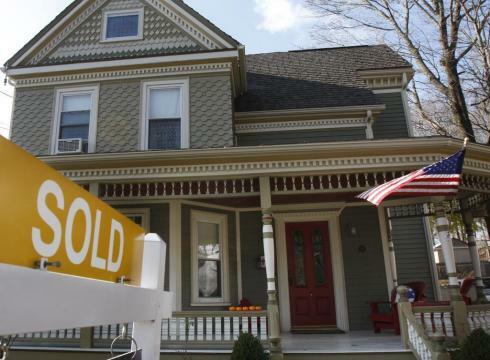 House prices fell again in October, according to the S&P/Case-Shiller index. The pipeline of delinquencies and future foreclosures is full, which continues to dim the prospects of a quick recovery. Efforts so far, such as the Home Affordable Modification Program (HAMP), have helped, but less than hoped. According to the Federal Reserve, there are no simple answers, but it makes several suggestions that Congress should examine. One is to encourage conversions from owner-occupied to rental because that market has strengthened in recent months: Rents have risen and vacancies have declined. A faster conversion rate would hold down rents and ease the pressure of unsold homes on house prices. Fannie, Freddie and the Federal Housing Administration account for about 50 percent of the inventory of foreclosed properties. Many of these are viable as rentals. A government-sponsored foreclosure-to-rental program to clear away regulatory hurdles would make a big difference. A second suggestion is to encourage refinancings. The administration tweaked the existing HAMP program in October, easing some of the earlier restrictions on eligibility. Even more could be done, according to the Fed. One possibility involves the fees that lenders pay to Fannie and Freddie for assuming new risks when loans to distressed borrowers are refinanced. These charges could be cut or eliminated, even though Congress just voted to increase them to help pay for the payroll-tax extension. Some institutional investors have shown interest in bulk REO deals, but the plan has to incorporate ways to help facilitate financing. That has been one of the biggest barriers to deals already in the works between hedge funds and the major banks. There is plenty of cash to buy properties, but creating a management structure for the rentals is costly, and some investors are finding the math doesn’t add up to make it worth their while. Larger investors want to get real scale in any government program, in the range of 50, 100, 500 properties per deal, or $1 billion-plus in assets. That’s why the government is looking to test several different approaches. Fannie Mae did a $50 million sale in June, although that was on the small side. Officials are evaluating what larger asset sales would look like.